DAVID LE/Staff photo. 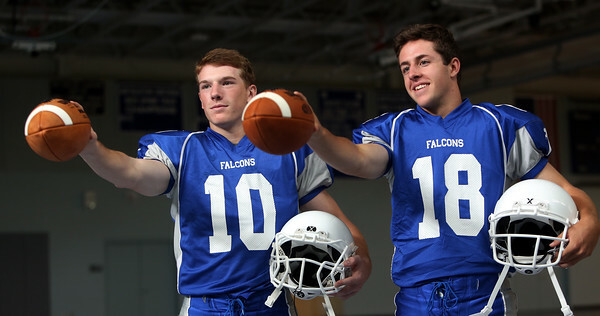 Danvers junior Matt Andreas (10) and sophomore Dean Borders will compete for the starting QB job this fall. 8/25/15.